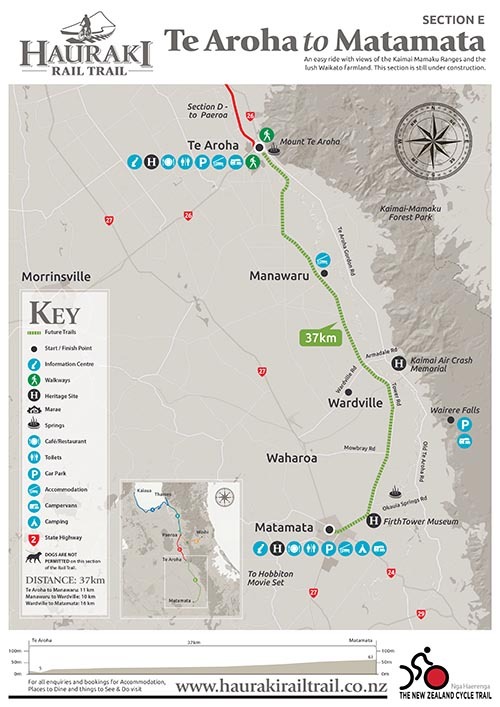 It's finally underway, the Te Aroha to Matamata leg of the Hauraki Rail Trail is under construction. The cycle track has been designated, specialised tree removal contractors have come in and hedges are starting to be removed. If you follow the route you will also notice fencing along the track. Following tree removal and building fences, we turn our attention to construction of the track itself and bridges. Note that some sections of the trail route (such as the exact routes in and out of Te Aroha and Matamata) are still to be confirmed. We've received a number of questions about the cycleway ranging from why are we extending it, through to what are the health and safety liabilities for farmers along the trail - so we compiled this list of FAQs to help answer the most common questions.